Think of it as jewelry that carries your essentials. 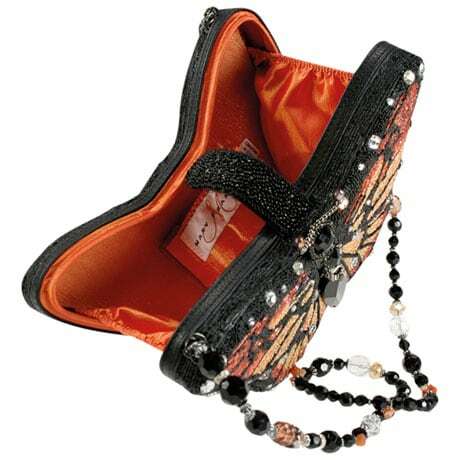 Covered with beads in brilliant hues of orange and red, embellished with sparkling crystals and lined in orange satin, this spectacular handbag has a single interior pocket, beaded magnetic closure. 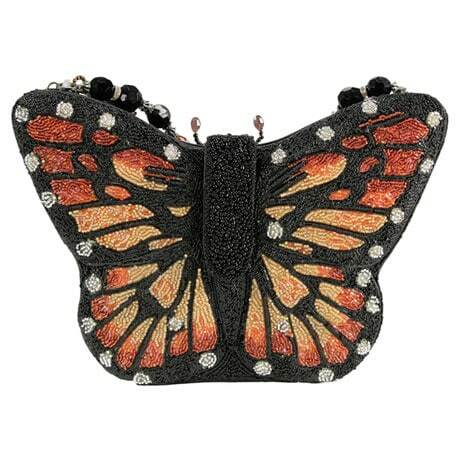 The 33" beaded strap is removable so you can wear it as a necklace. From award-winning designer Mary Frances, whose bags are prized by collectors and celebrities including Oprah, Kate Hudson, and Jennifer Aniston. 8 ½"w x 6"h x 2"d.